Mouse anti Human peroxiredoxin 5 antibody recognizes peroxiredoxin 5, mitochondrial, also known as Alu co-repressor 1, epididymis secretory protein Li 55, peroxisomal antioxidant enzyme or thioredoxin reductase. The PRDX5 gene encodes a member of the peroxiredoxin family of antioxidant enzymes, which reduce hydrogen peroxide and alkyl hydroperoxides. The encoded protein may play an antioxidant protective role in different tissues under normal conditions and during inflammatory processes. This protein interacts with peroxisome receptor 1. The crystal structure of this protein in its reduced form has been resolved to 1.5 angstrom resolution. PRDX5 uses alternate in-frame translation initiation sites to generate mitochondrial or peroxisomal/cytoplasmic forms. Three transcript variants encoding distinct isoforms have been identified for PRDX5 (provided by RefSeq, Jul 2008). 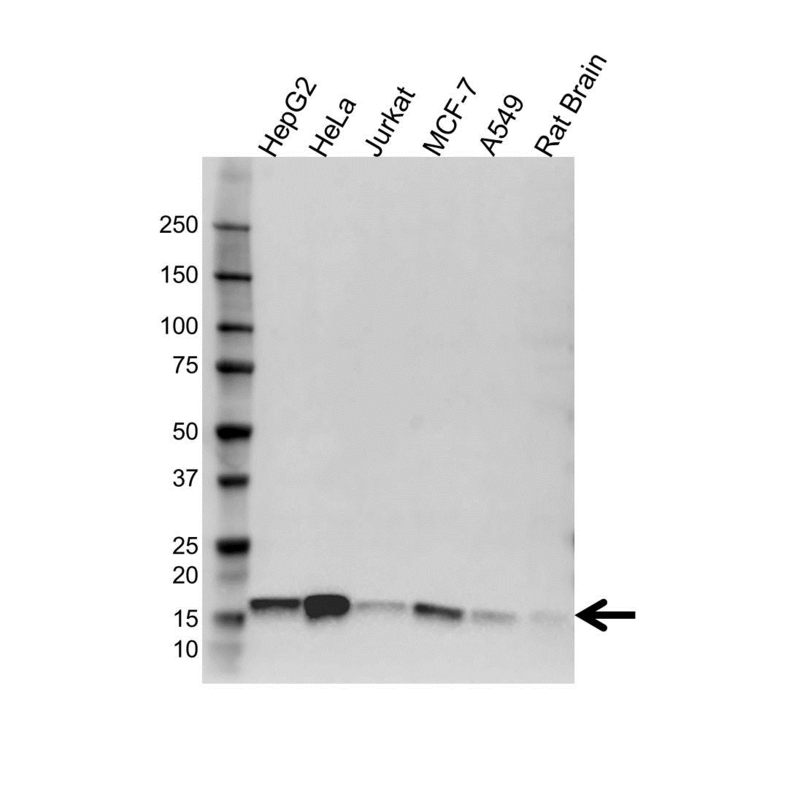 Mouse anti Human peroxiredoxin 5 antibody detects a band of 17 kDa. The antibody has been extensively validated for western blotting using whole cell lysates.